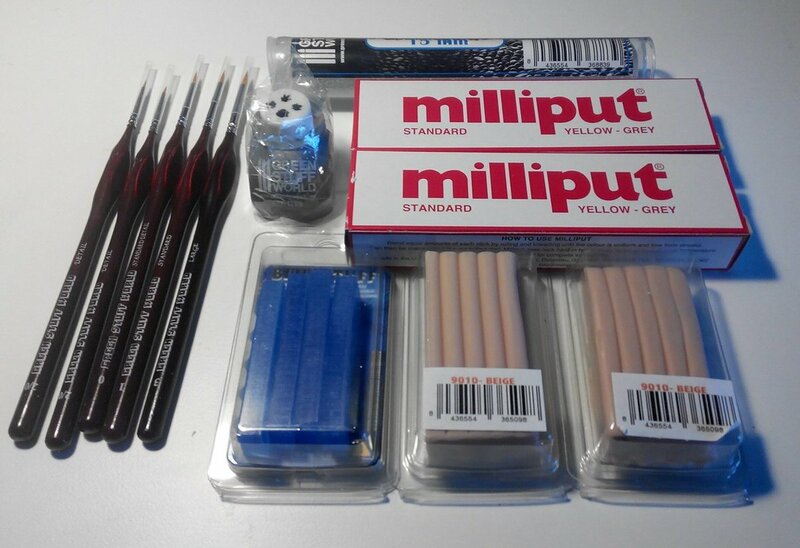 It's been a very good year for me considering all things hobby related. 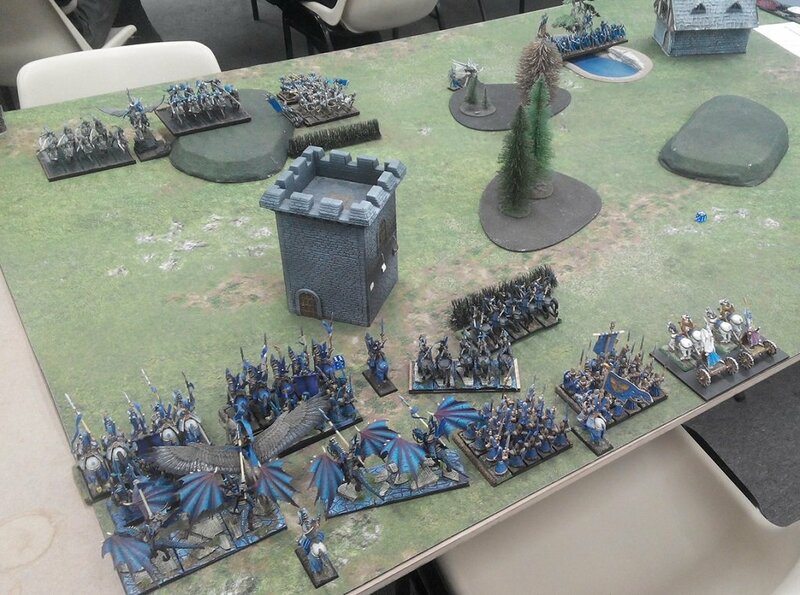 It was definitely the year of Kings of War where I dedicated my hobby time to playing and reporting various KoW games as well as modelling and painting units for my KoW Elves army. I have not done annual review for blog activities before but I think it may be a great idea to do so. I find it good to reflect a bit upon the things that happened, the plans the came into fruition and those that didn't. Things I learned and things I hope to do next either as a continuation or as completely new projects. It is also a great opportunity to thank you, the blog readers. I would like to thank you for paying a visit to the blog, reading the articles I posted and the comments you left. It is one of the best motivation to see that things I have to share are worthy reading and commenting. It was great to have these conversations here on the blog, on forums where I posted the links as well as on twitter and facebook. I hope to provide even more quality content in 2018 for your to enjoy! Playing games of Kings of War was definitely the main activity for me in 2017. I am very happy I played more this year than before. For some dedicated players 37 games during entire year may not be much. However, it is far better than in 2015 when I played only 11 games and than in 2016 when I manged to get 25 battles. I really hope that this trend is going to continue! In fact, I would have probably played more if I organised my time a bit better. 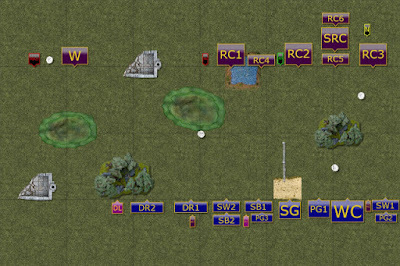 I had plenty of the opportunities to play with the local stores or online on Universal Battle. 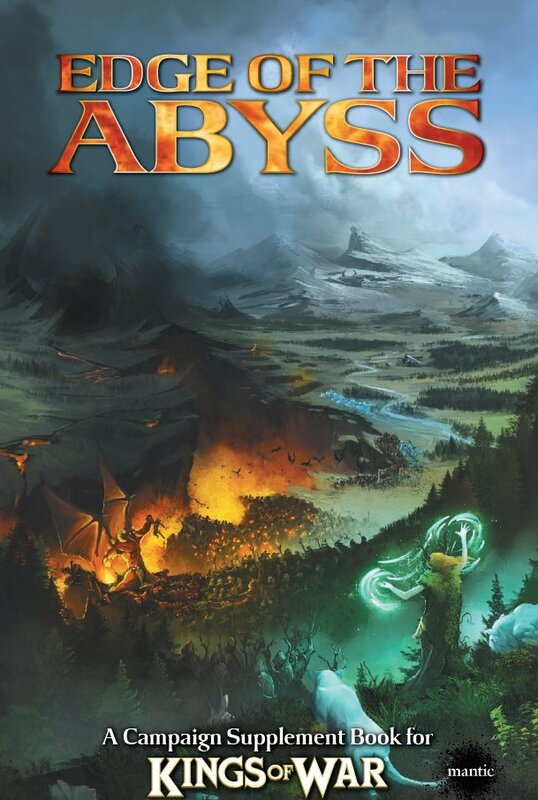 The games I played were casual games, tournament battles and Edge of the Abyss campaign games. I am very lucky to be in the area were there are great tournament organisers so many thanks to Matt and Tas in particular, as it is thanks to their effort that I had a fantastic opportunity to participate in four events this year. I am already looking forward to the new season and I wish I was back to Canberra in time for the last event of the year, organised by Dru. In general, in 2018 I hope to play regularly with the local players as we now have gaming nights each week, participate in the tournaments, also interstate and have more games by the end of 2018 than in 2017! I would also like to thank all the TO's and all the players I had a pleasure to meet and play against, either online or in real life. All my games this year, without any exceptions, were great because of fantastic opponents. I am looking forward to playing against you again and to meet new players too. Battle reports have been my main activity on the blog since the beginning and 2017 was no exception. Even if I added more content from other hobby areas. I have not really measured the time it takes for me to write one now but I think I got a bit faster so that I can provide new reports quicker. I also noticed I did not really change or add much to the usual format of the report. However, I am always open to new ideas and suggestions as I want the reports to be as entertaining and good to read as possible. If you think there is something that would be good to add or change in comparison to the current format - please, let me know! What I would like to do, in terms of battle reports in 2018 is to be more active in commenting on the games of other people. There are some great blogs and reports out there and I have not commented on them much. I know how important it is to at least write a short comment to acknowledge all the effort the author put into writing one. Even better to add more about the game itself. And to exchange some experiences about battle reporting as well. I decided to write about the Edge of the Abyss campaign separately because it was an unique experience for me. It was first KoW campaign I played and I really enjoyed it. I know that Mantic may not do such a campaign annually but I would love it if they did! I also know that local tournament organisers mentioned a campaign of some sort so I hope this plan will come to fruition. I would like to use such campaigns to get back to some short narratives I sometimes added to the reports and to get connected to the world of Mantica more. This area of the hobby always competed with gaming and battle report writing and often suffered because of my commitment to other two. Fortunately, I still had some time to make some progress in painting and modelling areas. But I would like to start with Monsters March initiative that I was very happy to organise and even more so when quite a nice number of participants joined. It was very inspirational to see all these great works and I was very happy to learn that for some of the hobbyists it helped to finish their projects. I will definitely repeat it in 2018 so expect some announcements in February! And this time I should be able to participate too! I started 2017 strong with a article on Darkon Riders but unfortunately, I didn't really follow with much later in the year. I did paint two units of Palace Guard troops which I am very happy with and I am currently working on War Chariots. But I didn't prepare the new articles on either of them and I think I simply need a better plan. One of the things I am sure is going to improve the number of units to be painted in 2018 is the fact that my wife and I have painting sessions together. She has recently finished some acrylic painting classes and it is fantastic to do painting together. I highly recommend it to you all. Talk to your partners, I am sure you can find some activities that can be done together with your miniature painting. It's a great quality time with them and gets some painting done too! I am going to continue with rebasing and painting new models for the new versions of the units I have in the army at the moment. I do not plan to change the composition for the army that much so I have a chance to finish this project. It would be fantastic if I could do it in 2018! The above activities resulted in 70+ articles this year and I am happy that I produced that much. Especially that each reports still takes longer than any other type of the article, with the exception of those where I detailed each step of modelling/painting the unit. 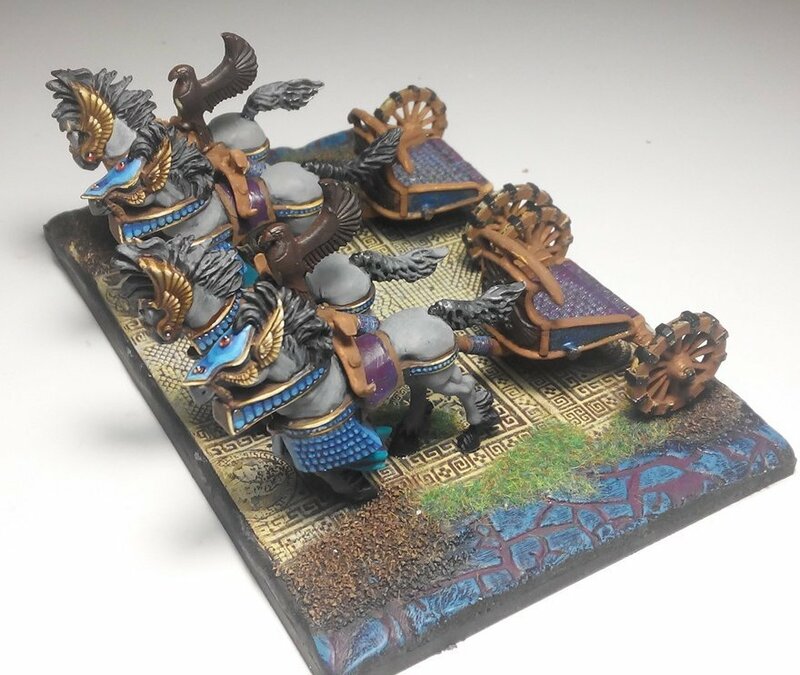 I have already mentioned I would love to play more, write more reports, paint more models and post more articles on the blog in 2018. I guess it will be quite a challenge to do so but I believe that with further improvements in time management and organising all the hobby activities, that should be possible. There are quite a few ideas about what to add and what to write about. One of them is that I would like to combine KoW Historical with Small Scale approach this year. I have models for 10mm scale Successors army and it would be fantastic to paint them and play some games with Historical rules set. I don't know yet if any of the local players would be willing to try it too but I am sure I may find an opponent for online games too. There are other games systems I wanted to try too. That is quite unusual for me as before I played one game only and tried to paint miniatures for the army I used. However, some casual games with other systems may be interesting and I am looking forward to some opportunities to play those as well. Hopefully not at the risk of losing the momentum with blog posting! In terms of Kings of War there are two things I am already looking forward to. Clash of Kings 2018 in Australia that takes place by the end of January and new Clash of Kings 2018 supplement with all the exciting news about progress in the world of Mantica. Thanks for reading and wishing you all the best in 2018! Congrats to another awesome year of blogging, looking forward to more great content in 2018. I would love to see more photos in your reports, close ups too. You have a fantastic army, would be great to see it in action! Taking good photos seems to be an ongoing problem for me so I will try to fix it in 2018. I will see if taking a different camera than just a smartphone is going to help. In casual games there should be more time to take close ups too so I will try to incorporate that as well. And thanks a lot for the support and kind words, it is always greatly appreciated! Awesome year of hobby related events! Mine´s was kinda good too, with almost 80 KoW games and some others, lots of painted miniatures and the night stalkers army being sculpted at a good rate. Thanks for all the reading material and have a wonderful 2018! Thank you Lien! All the best in 2018 to you too! All the best in 2018 for you too and hopefully this time we will have an opportunity to play against each other at some event! Sorry it’s been so long since I’ve popped in, work has been taking over more and more of my life. I am averaging 1-2 games a month sadly and rely on tournaments to boost that number. We have a 60+ person tournament coming up in 2 weeks and it will be the first time I take my Herd to a tournament! I’ve only had a chance to play 2 games with them but a tournament should offer lots of learning opportunities. I’ll take pictures of them to share when I finish my display board. I want to say that it is a pleasure reading your blog, and that I will start reading back through the Masters games that I’ve missed. I look forward to what your blog offers in 2018. Real life always finds a way to interfere, right? :) I am very curious about the Herd army and I am sure you will enjoy playing with it. I am looking forward to seeing the pictures of course! Thanks a lot for your comments and constant support! I greatly appreciate that and I really enjoyed our discussions. Don't worry about Master games, I hope you will still enjoy reading about them - although I didn't do well ;-P.
There is Australian Clash of Kings by the end of January so you may expect some reports from this event. I hope I will be able to play some games prior to the tournament as well. 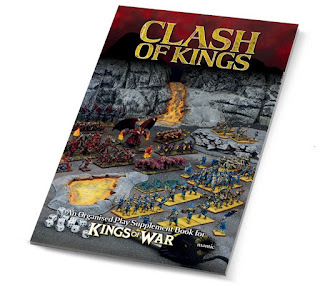 I think 2018 will be good for KoW with new supplement on the horizon and more people playing the game. A great roundup for a great blog! Looking forward to Monster March again this year. Thanks, Ed! I should post some announcement about Monster March soon!